I have been loyal with the Island Basics Makeup Remover; but when I asked my office mate if she's got a stock of the makeup remover (since I buy my Island Basics products from her), sadly, she ran out of it. So, I need to find an alternative which won't be expensive but will still do the job. Where else would I go but to Watsons. 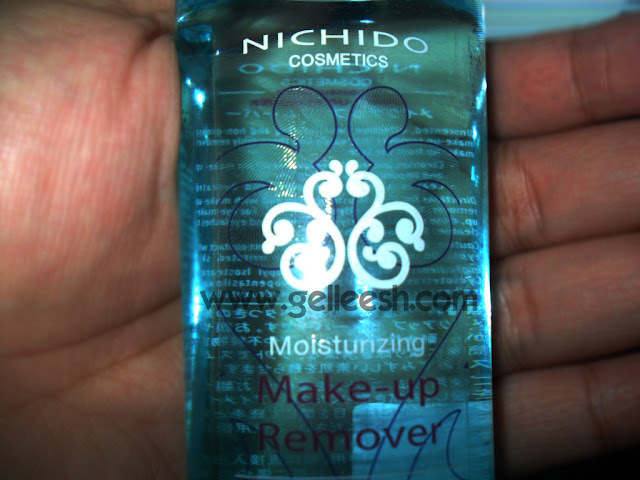 Thus, I found this makeup remover from the Nichido shelf. 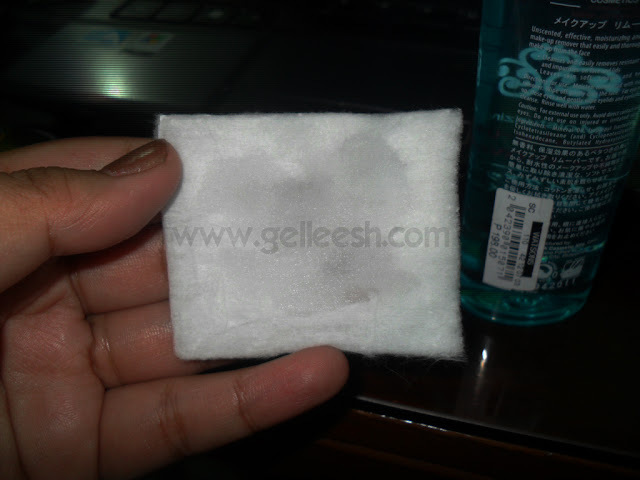 "Unscented, effective, moisturizing and non-greasy makeup remover that easily and thoroughly removes makeup from face." 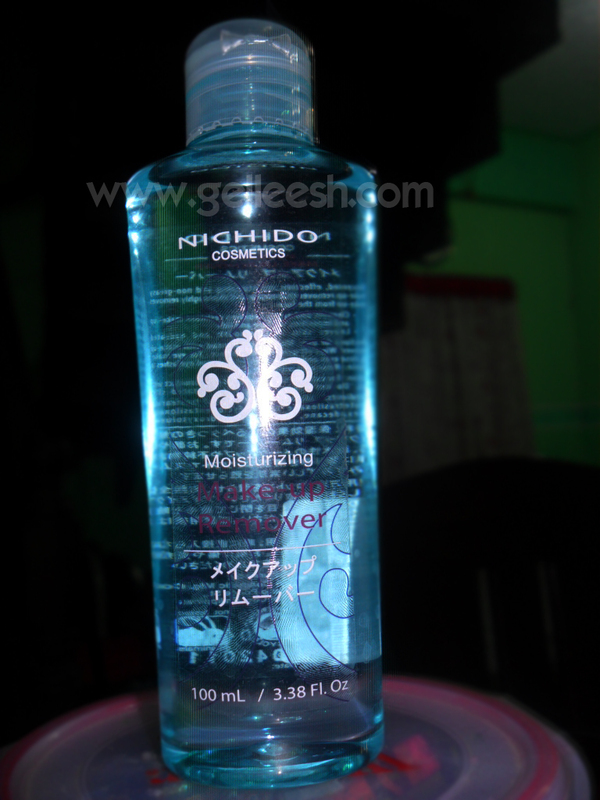 For only P198, you can have 100mL of this product from any Nichido shelf. Like what I have said, I bought mine from Watsons and ain't it really affordable? First of all it's inexpensive. It's the first thing I loved about this product. True enough, it's unscented so for those who are very particular with regard to the scent. 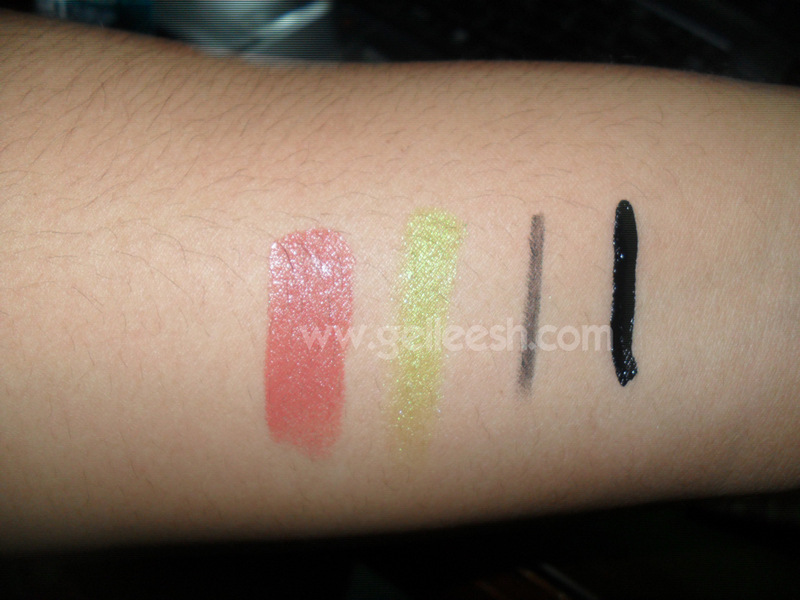 With just one swipe, it really did remove the products as you can see in my swatch. Plus, this makeup remover would really do well on people with dry facial skin. As the label says, it's moisturizing and one of it's ingredients is mineral oil. Since it's inexpensive, expect the packaging to be not so classy-looking. I don't like how the label is quite hard to read; although this being blue is really interesting. Another thing is that because it seems like it has a thin formulation when I shook it, I disregarded the fact that it's oil-based. Wait, I didn't disregard it, I really didn't read the ingredients because IT'S HARD TO READ. LOL. This product works; but it's just not the right kind of makeup remover for me. Disregarding the fact that it's for people who have dry skin and I have an oily skin, I'd be giving this product a 7/10. Please make the label more readable so that impulsive people like me won't be tricked into buying a product which is not made for my skin type. LOL. 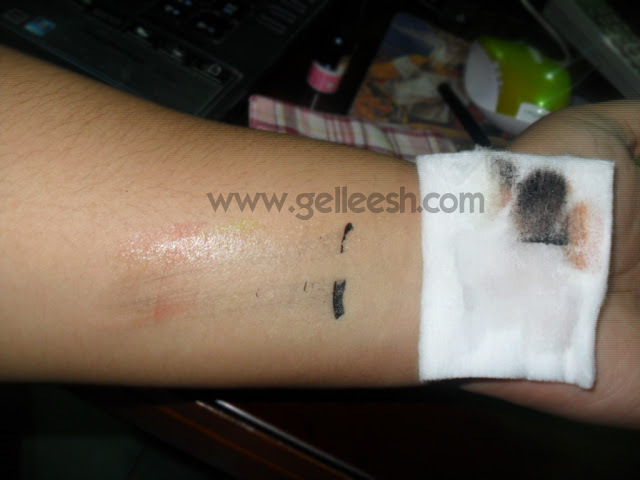 Aside from that, it really does work well when it comes to removing the product off of your skin. ya I got oily skin too... so this isn't for me either!! I also need a makeup remover. I think this is a must-try for me since I have a combination of oily and dry skin! I've actually seen this alot when I drop by the Nichido counters yet it doesn't appeal to me that much...mukha kasing cologne rather than a make up remover LOL. I'll try to give this a shot though even though I have oily skin.. Mineral oil clogs the pores. Thanks for the review.